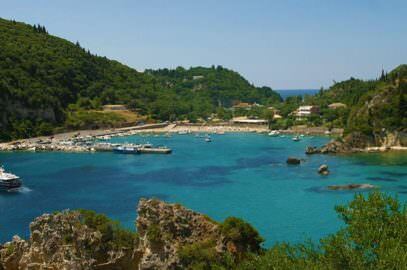 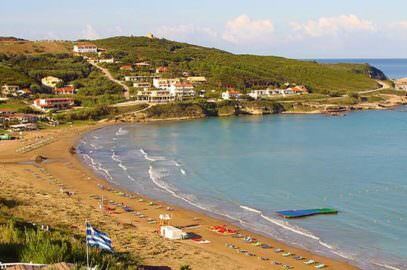 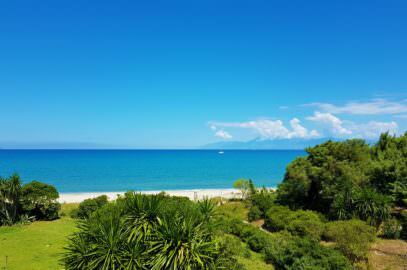 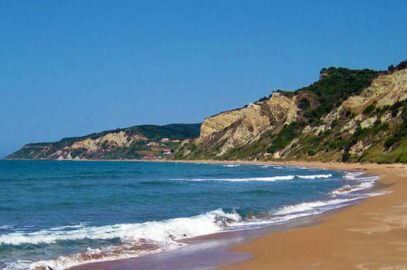 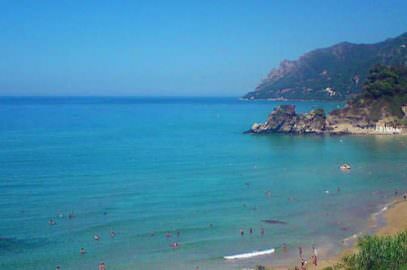 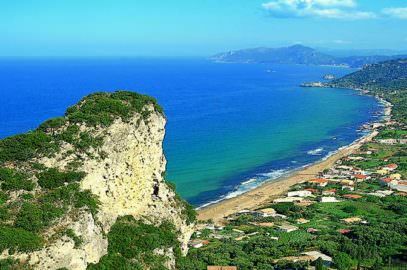 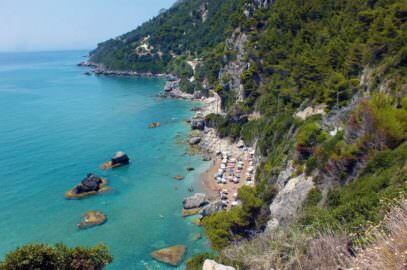 At the southern edge of Corfu, opposite Paxos, we find the cape of Asprokavos and a little further north and on the west coast the cape Arkoudilas. 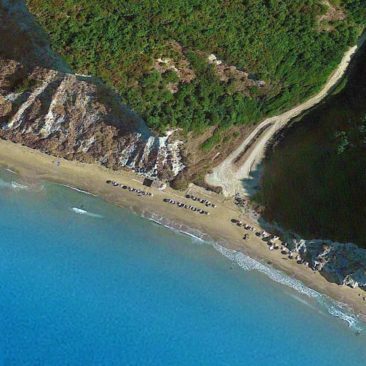 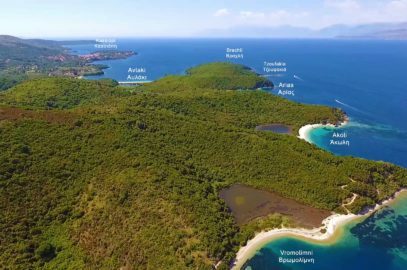 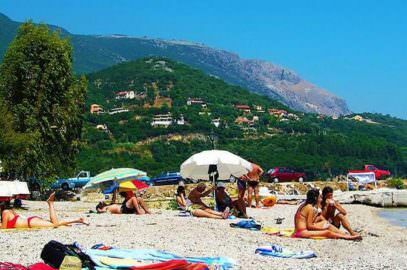 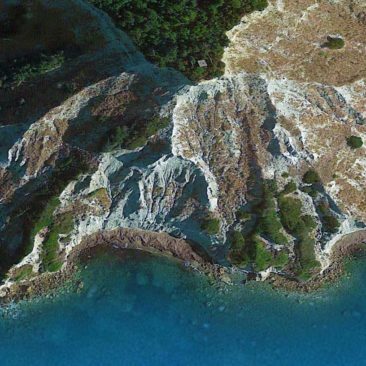 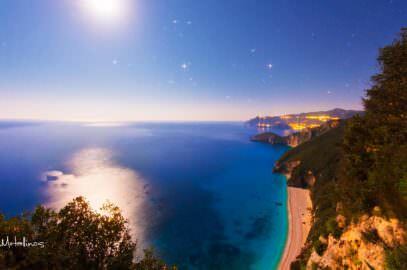 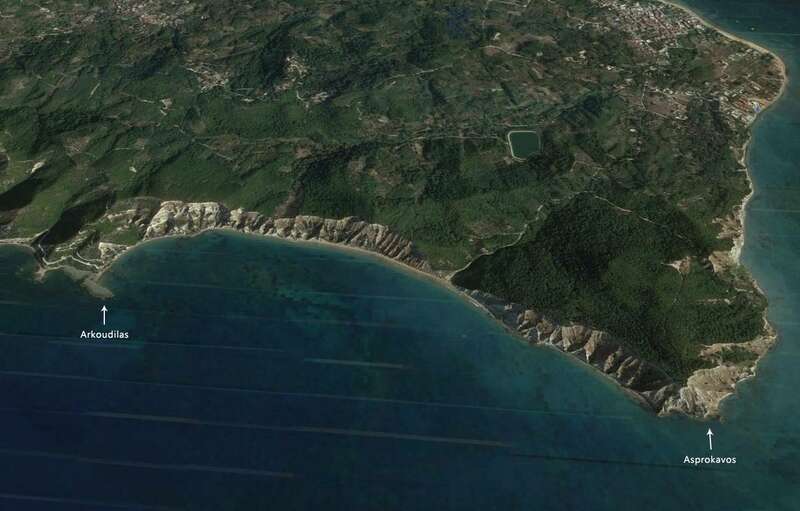 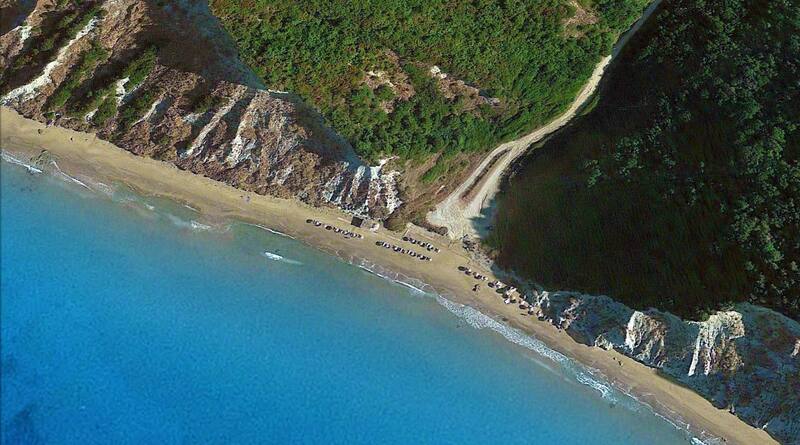 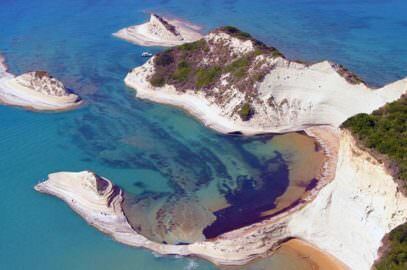 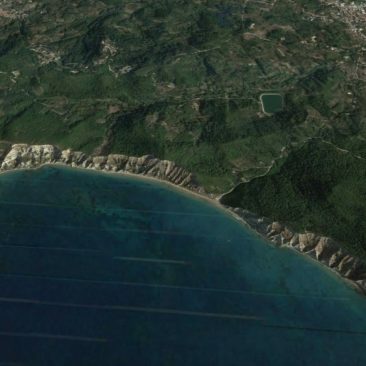 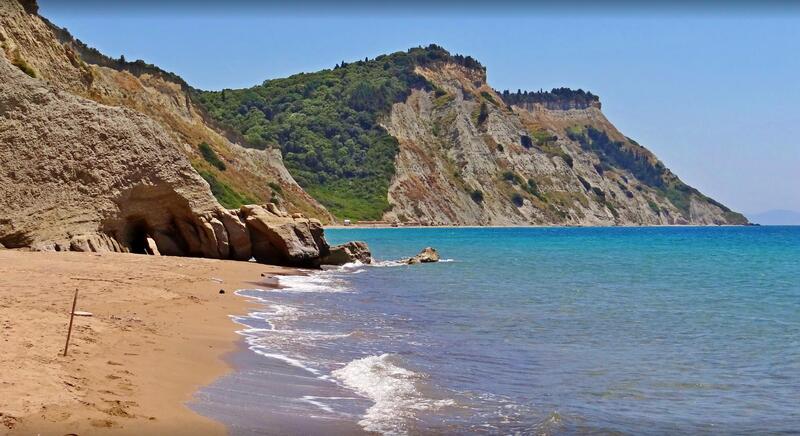 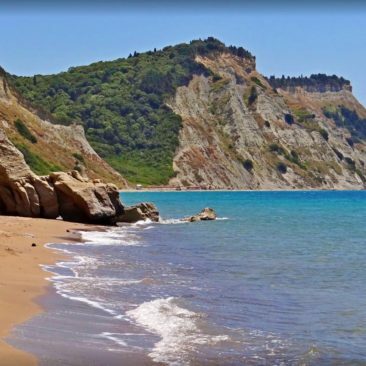 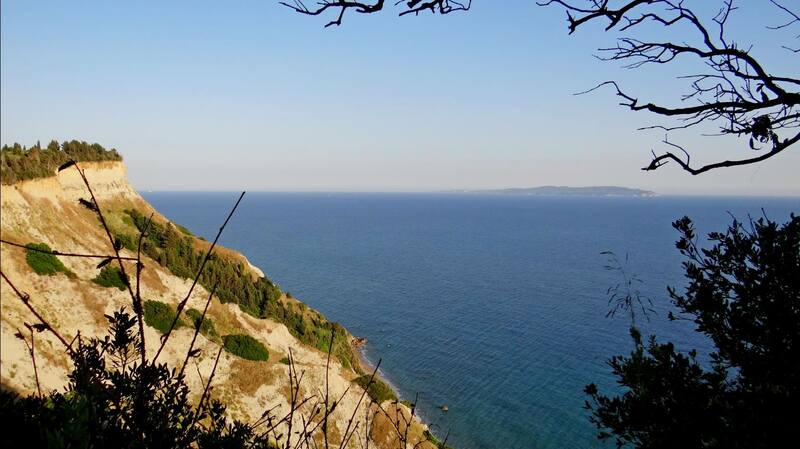 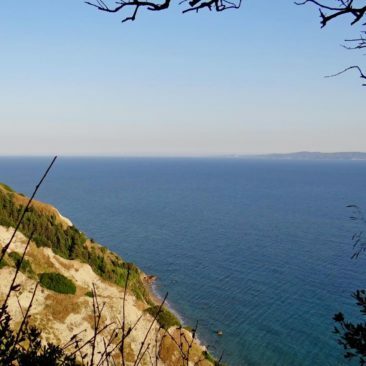 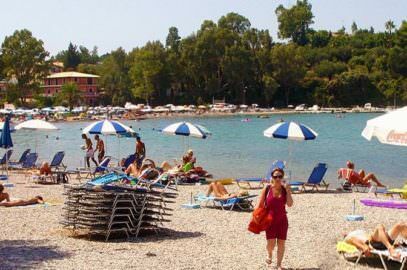 These are virgin areas without tourist development, thus unchanged for hundreds of years natural landscape consisting of a series of high cliffs parallel to the sandy beaches at the edge of southwest Corfu. 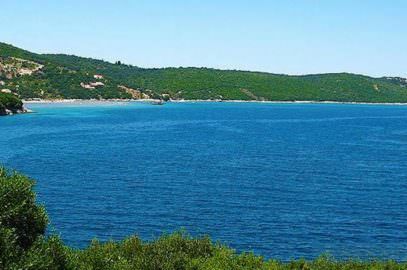 More interesting is Arkoudillas (the name means bear-area), which now is an uninhabited large forest area of ​​about 250 acres with cypresses, lawns and shrubs, olive trees are not missing though. 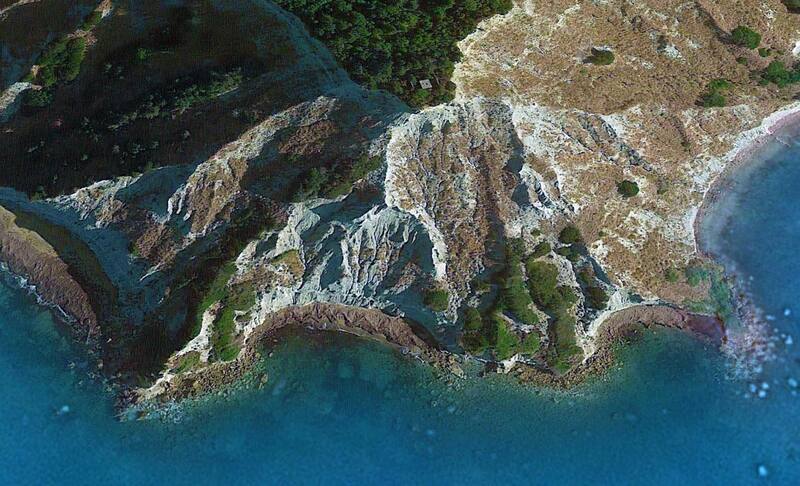 Some hundreds years ago there was a kind of tree called bear-tree as it was mentioned in old contracts of the area. 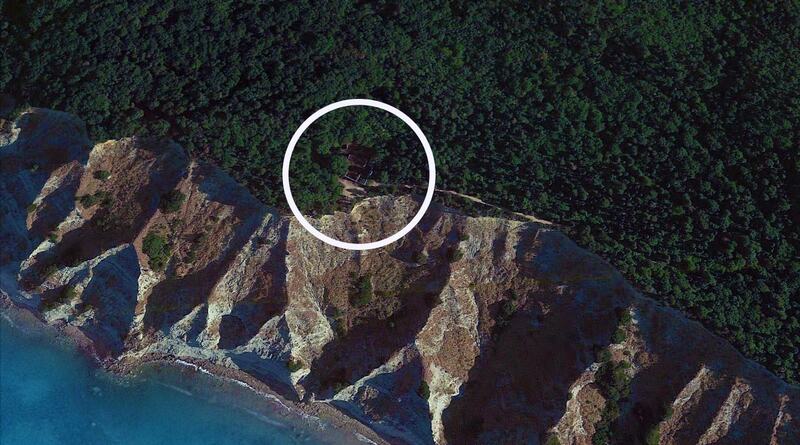 So it is speculated that this tree gave its name to the area since it was impossible to have bears here. 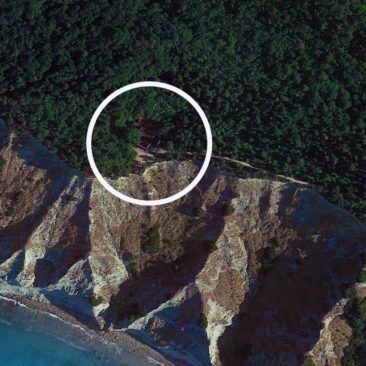 The area was inhabited much earlier, there were buildings right on the top of the hill, that is, at the highest point of the forest area that belonged to the owners of the area. 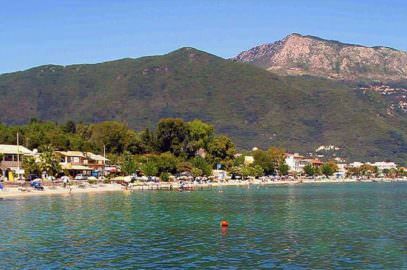 Owners during the Middle Ages were the Quartano family, Latin nobles written in the libro d’oro and this area was granted as a timario by the then Venetian administration of the island, timario was a piece of land given as a price to a wealthy family to protect it from the frequent raids of pirates and others. 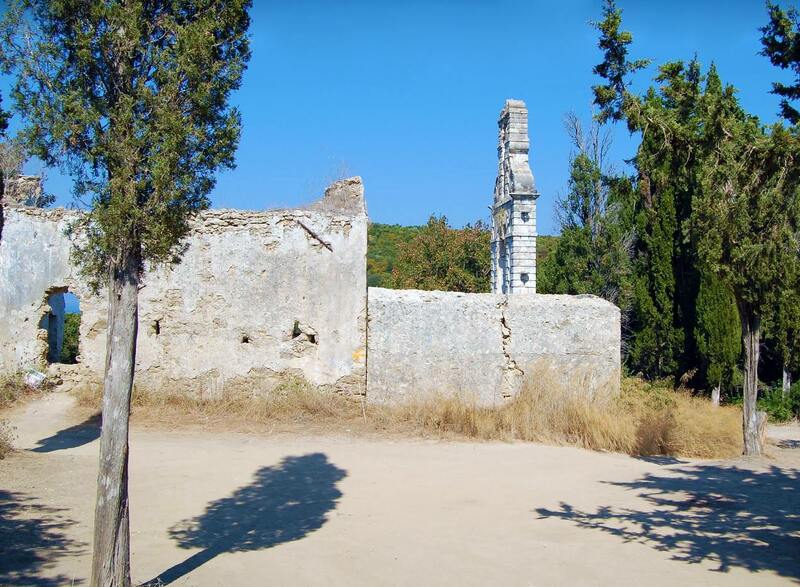 Quartano family had built at around 1700A.D the monastery of Panagia of Arkoudila and around it a tower with loopholes and all the necessary buildings both for the protection and defense of the monastery and of the area. 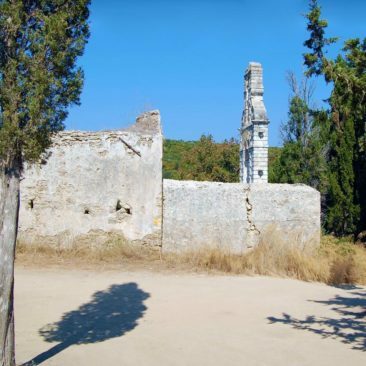 There were residences of the owners and monks, warehouses for items like oil and wine, stone wells, and secret emergency exits with stairs leading to the beach when they had to escape pirate raids. 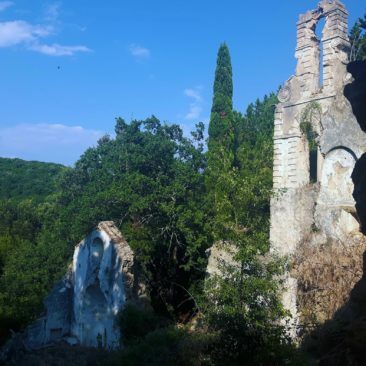 The old people remember that the monastery was celebrated on the fifteenth of August when a great feast was held where the faithful climbed the hill on trimmed horses and in the afternoon followed a feast and popular dances. 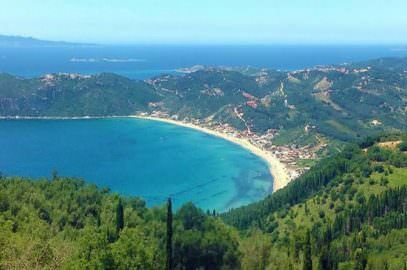 The point where the buildings existed had the best view, from there they could see both Paxos and the entire area of ​​Lefkimi up to the old fortress of Corfu. 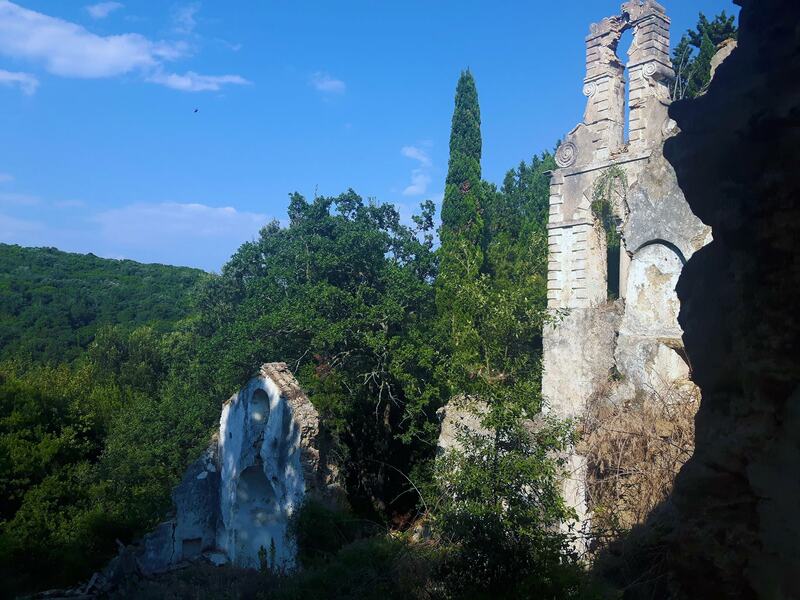 From all these buildings there are only traces left today, because due to the isolation and ferocity of the area and despite the efforts of the owners, the buildings and the monastery were looted several times until they eventually collapsed. 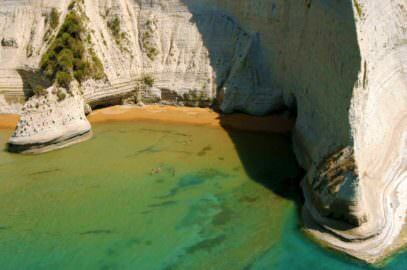 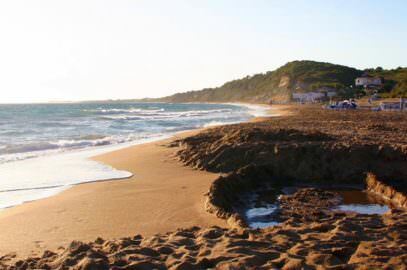 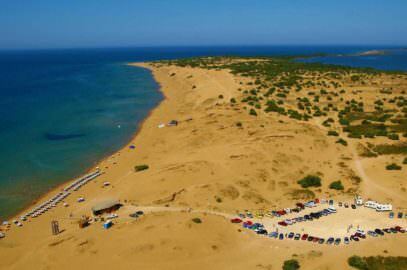 The beaches between Asprokavos and Arkoudilas are not easily accessible due to the high cliffs that cut them off from the inside and simply constitute a wild but beautiful landscape, but they are golden sandy beaches visited only by the locals from the surrounding villages. 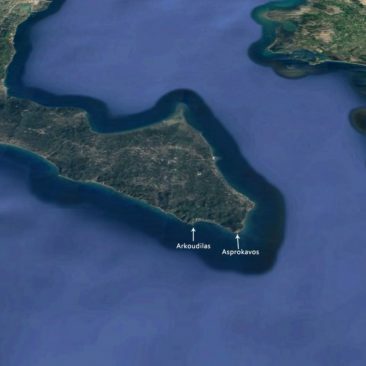 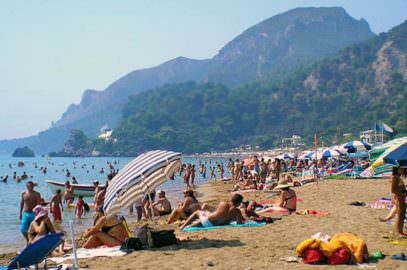 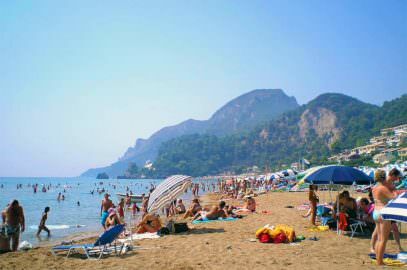 Asprokavos is the southernmost cape(kavos) of the island, named after the steep and tall white(aspros) rocks that can be seen from far as someone approaching Corfu from the South. 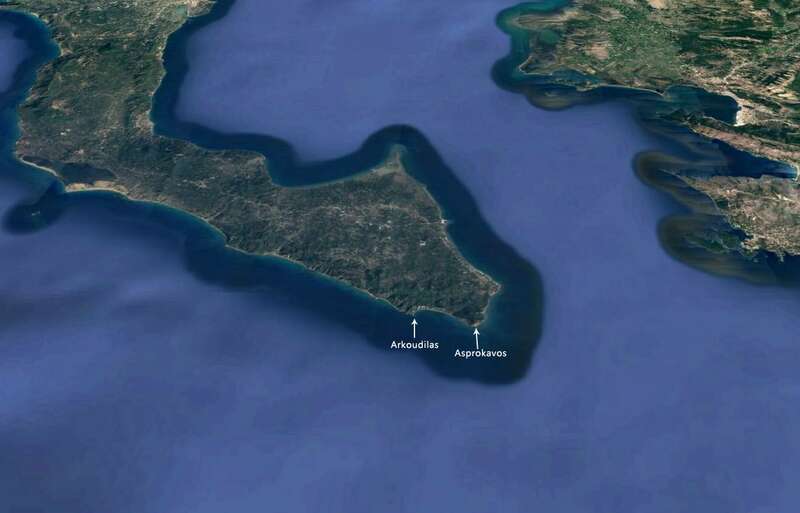 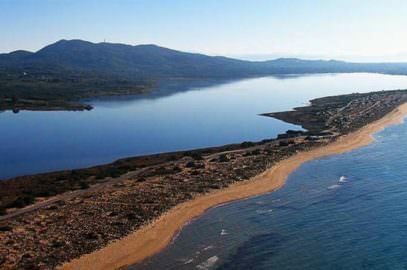 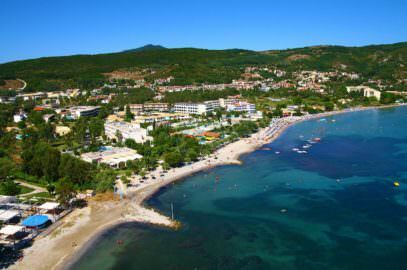 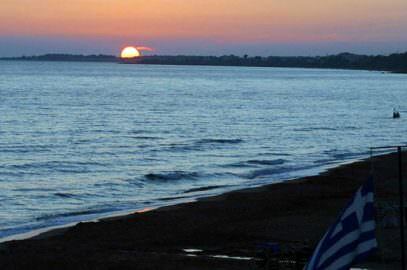 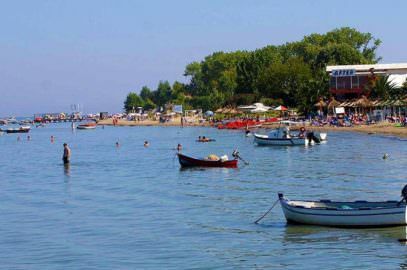 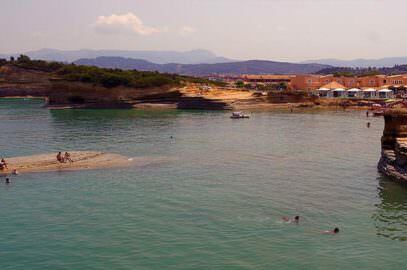 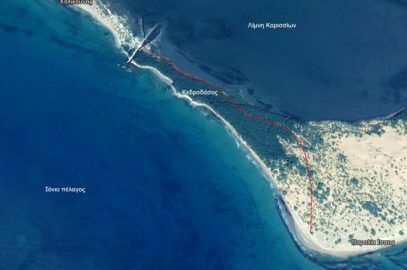 In Arkoudilas, the waters abruptly descend while in Asprokavos more abruptly, throughout the area due to the open sea, waters are almost always tinged and attention is necessary because there are also strong underwater currents. 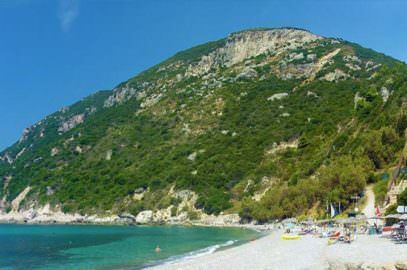 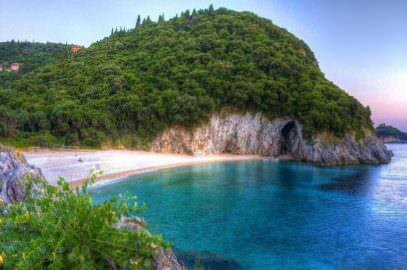 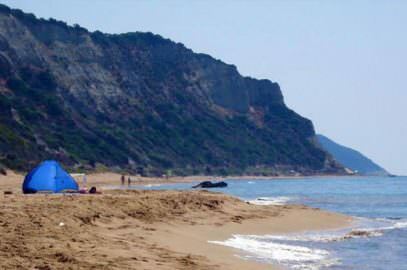 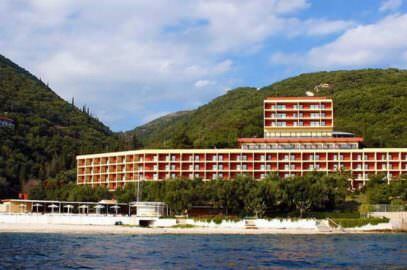 Let`s make clear that the beaches here are not suitable for families but only for adventure enthusiasts.